Ryan Meyer is the Executive Director of the Center for Community and Citizen Science at the UC Davis School of Education. His career has focused on the dynamics between science society, and on the role of science in environmental decision making. 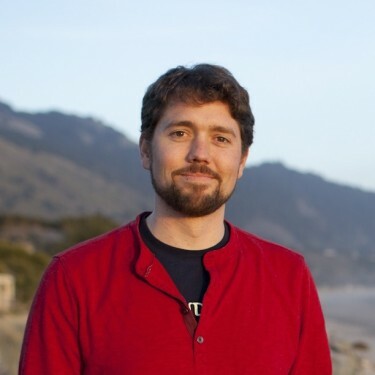 Ryan was previously Program Director at the California Ocean Science Trust, a non-profit boundary organization that helps scientists and decision makers collaborate more effectively. He completed his PhD at Arizona State University, where he conducted research on the climate science funding in the US and Australia. He is a Fulbright Scholar, and an affiliate of the Consortium for Science, Policy, and Outcomes at Arizona State University. Harris, Paul, Meyer, Ryan and Leith, Peat May 31, 2013. "Scientists and policymakers: Wave goodbye to the valley of death." Online publication on The Guardian. Preston, Benjamin L., Rickards, Lauren, Dessai, Suraje and Meyer, Ryan 2013. "Waters, Seas and Wine: Science for Successful Climate Adaptation." Successful Adaptation to Climate Change: Linking Science and Practice in a Rapidly Changing World, eds. Moser, S. and Boykoff, M. Routledge. Meyer, Ryan and Leith, Peat 2011. "Reward Research That Informs Policy." Nature, 474(7352): 450. Meyer, Ryan. 2012. "Uncertainty as a Science Policy Problem." Climatic Change, 110(1): 1-2. Meyer, Ryan. 2012. "Finding the true value of US climate science." Nature, 482(7384): 133.